It is very important that if you have an aquarium, that you will need to own the best aquarium air pump. Air pumps are what regulate and allow clean air to flow through a controlled body of water. Pools, boats and even backyard ponds are other examples of things that require air pumps, so that you can transfer oxygen to all parts of your water. For this review, we will look at no more than seven aquarium air pumps from brands such as Pawfly, Tetra Whisper and Uniclife. Each one has several benefits, with one or two setbacks. Which one is the greatest air pump for your aquarium? We will find out at the end of our review for your consideration. What Makes An Air Pump For The Aquarium Important? This first Tetra air pump is for aquariums that are up to ten gallons in size; personal aquariums that has just one or two fish. There are three other versions of this pump that have larger gallon capacities, but we are reviewing the one that is just up to ten gallons in size for now. This aquarium air pump has a dome shape that makes turbulence more muffled. It also helps that this pump includes dampening chambers so that you have a quiet and harmless pump that will not scare your fish. Its design overall works to reduce vibrations that would create unpleasant sounds, and it is not a distracting looking pump by any means necessary. With this Tetra air pump, you get powerful and efficient air flow. This pump simply works well to keep an aquarium of the right size clean and clear. It is definitely a reliable air pump that aerates your water tank without any errors. Despite the efforts made to try to get this air pump to be as quiet as possible, it can actually be quiet loud; So loud that you could have difficulty sleeping yourself, let alone your fish. Tetra claims that you need the right sized aquarium to get the least noisy experience, but we have tried with as close to a 10-gallon tank as possible. We aren’t sure what they included is actually working or not, but apparently it is back to the drawing board. VicTsing’s air pump looks rather like a computer mouse. It clips on the edge of the aquarium and has two air outlets for adding oxygen. This pump best suits fish tanks that are small to medium in size; or up to 45 gallons. Its max displacement is 3.5 liters per minute. These air outlets are can provide oxygen to two aquariums at once. 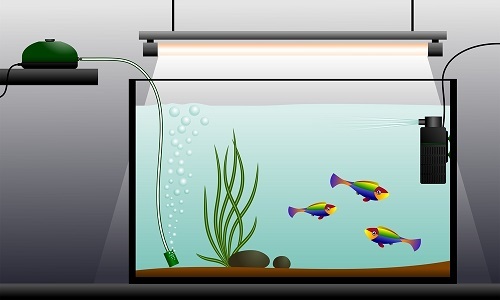 If you have two fish tanks, you can use the same VicTsing air pump to provide oxygen to both. If you have just one, you can provide your fish with double the oxygen. Either way, you cannot go wrong with either method. With two air outlets in one aquarium, you are sure to deliver more air bubbles and made your fish live more comfortably. Many aquarium air pumps only have one air outlet, and oftentimes fish will need more airflow in their water to live healthily. You can choose where in your aquarium to place these air outlets so that you can put them in the best places possible. This air pump from VicTsing has what they call a “multi-level muffler”, that can reduce noise to volumes as low as 35 decibels. This is fairly quiet, and sounds closer to whispers than the actual Tetra Whisper. VicTsing provides a 45-day money back guarantee and a one-year manufacturer’s warranty. To be sure that you are completely satisfied with your pump, you can take advantage of one of these two services if you are not happy with how it performs, or if it fails within the year. The one thing that we don’t like about this aquarium air pump is that the power cord is too short. You can use an extension cord, but you will shortly realize that it won’t work as well as plugging straight into a wall socket. You will need to relocate your aquariums as a result. This next aquarium air pump is from Pawfly. It has a light blue and dark grey design. This air pump can produce oxygen at 2.5 liters a minute, and it is ideal for aquariums for up to ten gallons in size. Underneath the pump, you can find all its specs. They misspelled “quiet” as “quite”. This air pump is as loud as 45 decibels, which is fairly quiet. You can also muffle the noise by putting a blanket over the air pump. Designed to aerate aquariums efficiently, it has low power consumption and can compress air effortlessly. It can fill your water up with rich levels of oxygen to make your fish live long and healthy. Included with this air pump is an air stone, a check valve and an air tube that is five feet long. The check valve can protect the pump so that it keeps running for a while after a power outage. The diaphragms are made of a unique and synthetic rubber. To further suppress noise, and to keep the pump from moving if it is on a hard surface, this air pump comes with four rubber feet. The one caveat to this air pump is that the tube tends to detach. You can go to sleep one night and wake up without the pump pumping oxygen into the aquarium because the tube fell off. You will need to find a clever way to keep the tube intact so that it will always deliver oxygen as intended. This aquarium air pump is known to be a very capable and powerful one from Uniclife. It can provide oxygen to aquariums that are as small as 20 gallons and as large as 100. It can also do so with four liters per minute. This is the most powerful of pumps so far in this review. At 25 decibels, this is a very quiet pump that sounds as loud as your very own breathing. You can also adjust the rate of flow with a simple dial. Do you want to conserve power and go low, or keep the water crystal clear and aim high? You fortunately have a choice in this respect. Included with this air pump are two return valves, two air stones, and two air outlets. These outlets can also be placed in one aquarium each if need be. Setting this air pump is also fairly easy with instructions that are quick and concise. There is a manufacturer’s warranty for one year on this aquarium air pump, so if it fails within a year, you can be eligible for a free replacement. Its one flaw is that it does not flow oxygen as powerfully as other aquarium air pumps. It is capable of working with 100-gallon aquariums, but if the airflow is not as powerful to accommodate a tank that big, that is obviously going to be a problem for you and all your fish. This next air pump is from Mylivell, and it is shaped like a manta ray. This is a low-power aquarium air pump that has a flow rate of 240 milliliters per minute, and can circulate a water tank up to 13 gallons in volume. It is available in either black or white. This air pump has a suction cup on the back side. This allows the pump to stick to the side of your aquariums glass, so that it does not occupy any space on your table, desk or counter. The suction cup is powerful enough that the pump will not slide on down the glass. This air pump is made with a piezoelectric ceramic plate that is thin. This is a far cry from the conventional electromagnetic air pumps. This plate makes the pump super quiet, and it doesn’t even have a motor or shaft inside. With that said, no motor means less maintenance, and less likelihood of something going wrong with your pump. You get a stable performance of airflow 24/7 with no setbacks or periods of slowing down. Included with this pump is an air stone that produces a decent amount of bubbles at an even pace. Mylivell’s aquarium air pump does things differently, but it truly lacks the strong airflow to make it actually compete with other air pumps. At just 240 milliliters, fish will only get to enjoy a small and slow trickle of oxygen at a time. Compared to Pawfly’s air pump, fish receive 2.5 liters per minute, which is plenty of oxygen for an aquarium of similar size. This aquarium air pump is the same as Tetra’s first air pump, only that it is suitable for fish tanks that are up to 40 gallons in volume; 30 gallons larger than what the first was capable of. This pump still has its round, blue appearance with four legs. This aquarium air pump makes just as much noise, with turbulence that muffled its noise modestly. The dampening chambers are also present. It works just as well as the first Tetra Whisper pump, except that it works better with a significantly larger tank. So far, we have not seen any noticeable hiccups with this air pump. Even though it runs normally, this one runs even louder and vibrates more aggressively than the first Tetra Whisper. You can definitely hear and feel the motor, and it is almost as if the air pump is pretending like it is a ticking time bomb. Needless to say, this pump will not explode or die out, but the noise can just be too much for one to tolerate. For either Tetra Whisper air pump, we also have not been able to determine how much liters per minute of air they output. This final aquarium air pump is brought to us by EcoPlus. To put it simply, it is a beast. You can consider it an industrial air pump. It can provide oxygen to aquariums at 4920 liters per hours, or about 80 liters per minute. You would assume that this would be used for swimming pools. In actuality, it can be for large aquariums, fish farms, and outdoor ponds. This is a strong and durable pump that is guaranteed to last you a long time. It is not cheaply made or built at all, and it feels like a strong and heavy device in your hands. It weighs a whopping seven pounds, making it no laughing matter. The air outlet has eight different nozzles where air can flow out of. This way, you get eight times the oxygen, and fish are sure to get their fill regardless if you keep them in a fish tank or your backyard pond. With a motor as powerful as this one, it is loud. That is to be expected when it is capable of providing you with a lot of air and oxygen, but it sounds like you have a car running in your room. If you have an extremely large aquarium, then the price is right to get this. However, there are other pumps you can buy that are much quieter. If you have not owned an aquarium before, but soon will, there are various reasons why you need to own an air pump. Are air pumps completely mandatory? The answer is no. 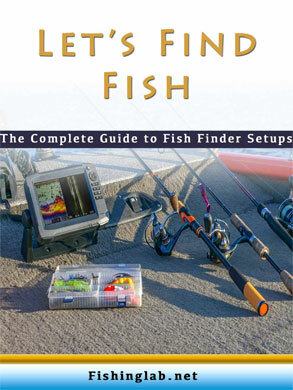 Many seasoned fish owners have managed to do without air pumps. But you will still appreciate all the benefits that the best aquarium air pumps have to offer. The main objective of an aquarium air pump is to aerate your water, or add oxygen to it. Some people believe that bubbles that pass through the water provide fish and plants with oxygen, while bubbles actually do very little pertaining to air. Bubbles are actually made from surface movements, and the move surface movement you create, the more contact the air makes with your water. With high intake of oxygen, your fish, plants and good bacteria will prosper inside your aquarium. As water gets warmer, it will be less capable of keeping oxygen inside of it, which is why an air pump is a good thing to have. Water movement is absolutely necessary to keep your aquarium healthy. Where are many things that improved water circulation can do that you cannot see with your own eyes. In addition to air pumps aerating your water, it can also maintain a constant temperature, help your fish move about the tank, promote exchanges in gas and provide a healthy filtration. The better your water circulation, the more that the water temperature will stay the same. Your aquarium will not get warmer or colder depending on the season or time of day. With better water circulation, fish will be able to move faster and access more areas inside the aquarium. Thanks to currents that air outlets can create, they can help push fish to areas that they want to navigate to, so that they are not stuck in the same location for hours at a time. With a healthy filtration, the water itself becomes cleaner and you can see through the aquarium more clearly. With air pumps, they are capable of forcing out harmful gasses that can make the waters slightly polluted. What you should see with an aquarium air pump is water that is clear and transparent, and not in a slight tint. This clear water is also cleaner for your fish and plants. Fish owners prefer to have more bubbles in the tank. Bubbles provide people with not just more to look at inside of a tank, but some added aesthetic qualities. Bubbles are harmless to fish. In fact, fish love bubbles, and they choose to enjoy bubbles in one of many different ways. A stream of bubbles traveling upward provide fish with some recreation. Some fish will tend to ride up a bubble towards the surface, and then float down to the base of the aquarium for a little ride. Fish can also swim through a stream of bubbles and feel some relaxing effects, as if the bubbles help to give the fish a message. As you can see, there are many benefits for owning an aquarium air pump. Not only do they make your water look better overall, but it can regulate the water temperature and make it cleaner for fish. The fish can also enjoy a boost of oxygen as well as cleaner water and better navigation throughout the tank. Furthermore, fish can find a few extra things to do inside the tank thanks to the inclusion of an aquarium air pump. With that said, while many veteran fish owners can get by without using an air pump, you can help yourself to various benefits by just paying one low price. The aquarium air pump that we most recommend to you is none other than the VicTsing Air Pump Ultra Silent. Whether you have a large or small aquarium, VicTsing’s air pump will provide your fish with decent flows of oxygen throughout the day. You will enjoy a clear tank, quiet operation, and some healthy and happy fish. If you have two aquariums, you can also provide air to both of them at the same time. The one flaw this has is its short power cord. You will likely need to make some changes to your room to accommodate this aquarium air pump, but these changes hopefully will not be too demanding.